We support the North Columbia Environmental Society, the Cloumbia Basin Environmental Education Network, Revelstoke's Local Food Initiative , and Bear Aware. We feel strongly about supporting our community, hence our label, "Community Partner". 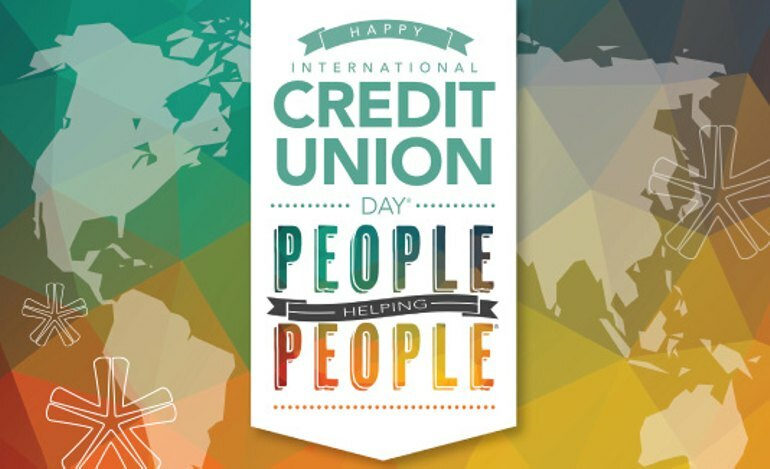 Credit Unions are industry leaders in donations, sponsorships and volunteerism. Revelstoke Credit Union has distributed nearly $6 million to Members and the community over the past 17 years. 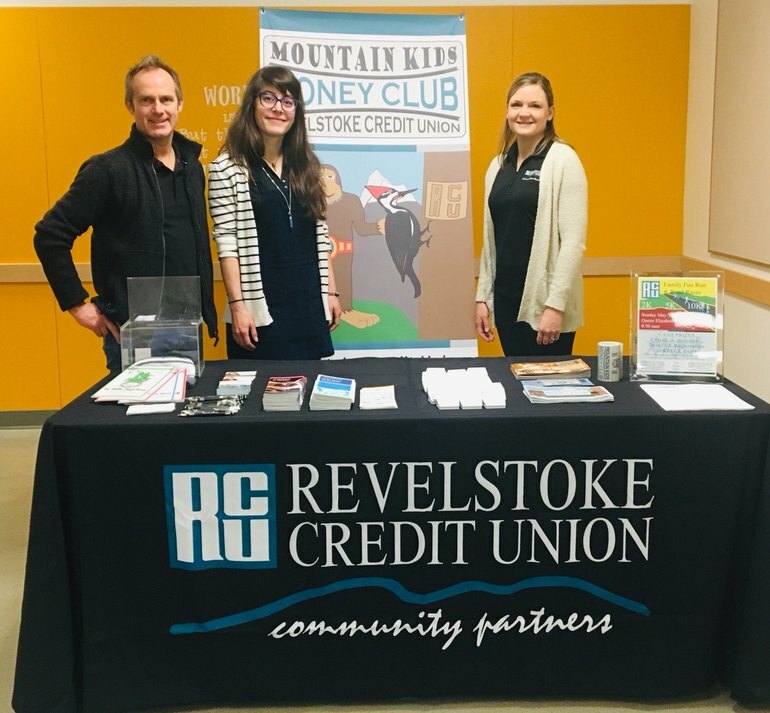 The Aquaducks appreciate the support that Revelstoke Credit Union has been providing our swim team for many years through their sponsorship and other donations. Their community wide support of all youth programming helps to keep a high level of quality for an active and engaged segment of our population. We are also grateful for the time allowed their staff, who are also parents of swimmers, to come out and volunteer with our home meets, making them run smoothly. RCU was also a major contributor to our BC summer swim region's purchase of a timing system and equipment that is utilized extensively throughout the province at twelve meets each year. Thanks to RCU's staff, management, and Board for being such an important Community Partner and keeping our Aquaducks swimming fast. The tag line for Revelstoke Credit Union is "community partners"; and they truly are! 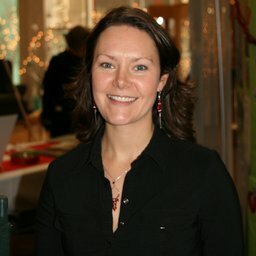 The Revelstoke Early Childhood Development Committee has enjoyed an ongoing partnership with RCU since 2004! 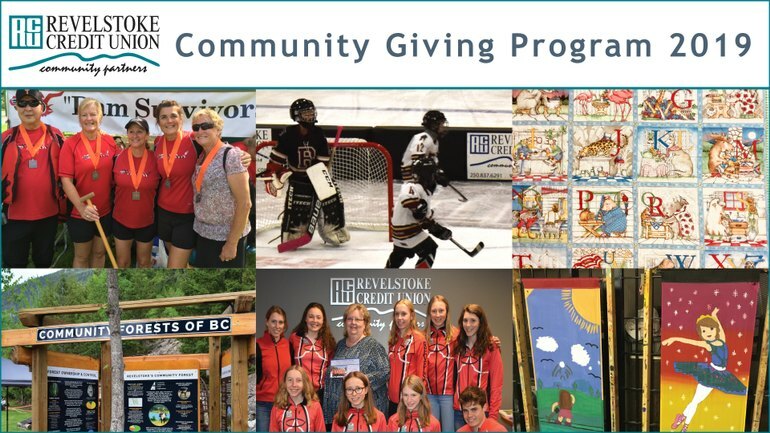 Their community wide support of quality children's programs, events and services through involvement with Success by 6 BC, the Community Giving program and through volunteerism is deeply appreciated by our committee members and throughout Revelstoke. In addition, Revelstoke Credit Union has become a key partner in our fall and spring Children's Clothing and Toy Exchange. In addition to a contribution to support the event, RCU volunteers are involved in every aspect of the event from set up to clean up as well as providing information to parents about free government grants to support RESPs and RDSPs. These events have an clear impact for families and reduces expenses for our families. Thank you for your focus on families and community RCU! Ready for action at the Revelstoke Child Care Society Toy and Clothing Exchange. Bring a bag and take some clothes home for those little people in your life. RESPs, Mountain Kids Money Club and all sorts of other financial info at the Free money fair in the hall as you head in to shop! We are wearing green shirts today to help raise awareness for Organ Donation. 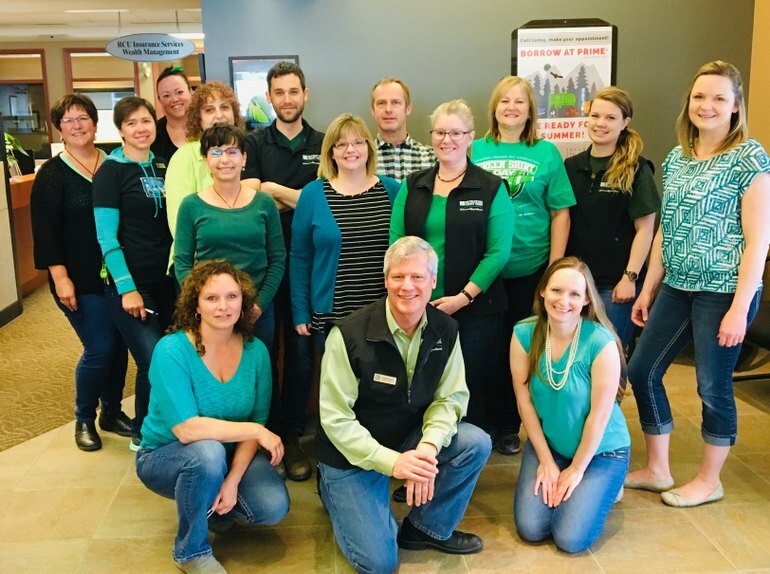 #GreenShirtDay is April 7, but today we're set up with information, (and Popcorn at 11) so come and see Roma Threatful, fill out an Organ Donor Registration form and have the conversation with your loved ones. The day also brings light to the #LoganBouletEffect which has inspired over 100,000 Canadians to become registered organ donors. Honour the memory of Logan Boulet and spread the word about the importance of organ donation. Logan Boulet made the decision to be an organ donor just weeks before his passing in the tragic Humboldt Broncos bus crash in April 2018. After Logan registered his decision, he took the wise and necessary step of sharing his decision with his family. 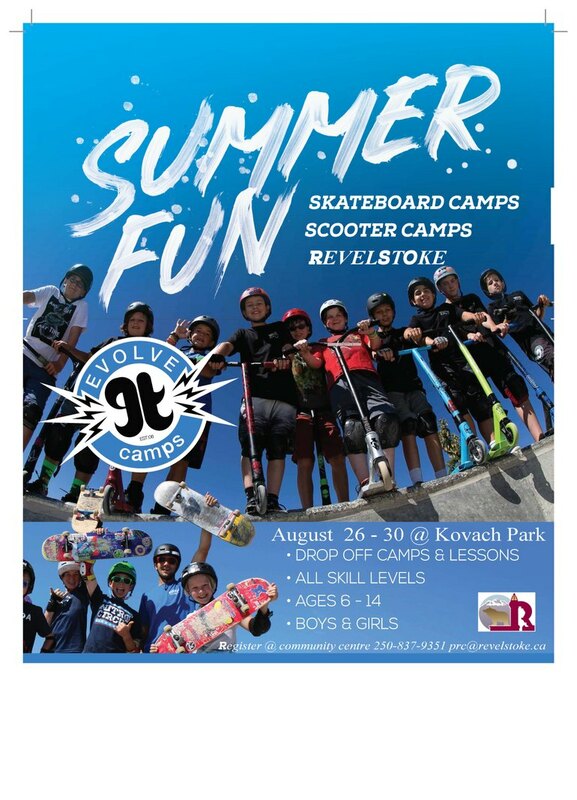 Thank you to Revelstoke Credit Union for sponsoring our first Skateboard and Scooter camp coming to Revelstoke this summer! This community support has enabled us to keep financial barriers down for families in our community, allowing more families to afford this camp opportunity. 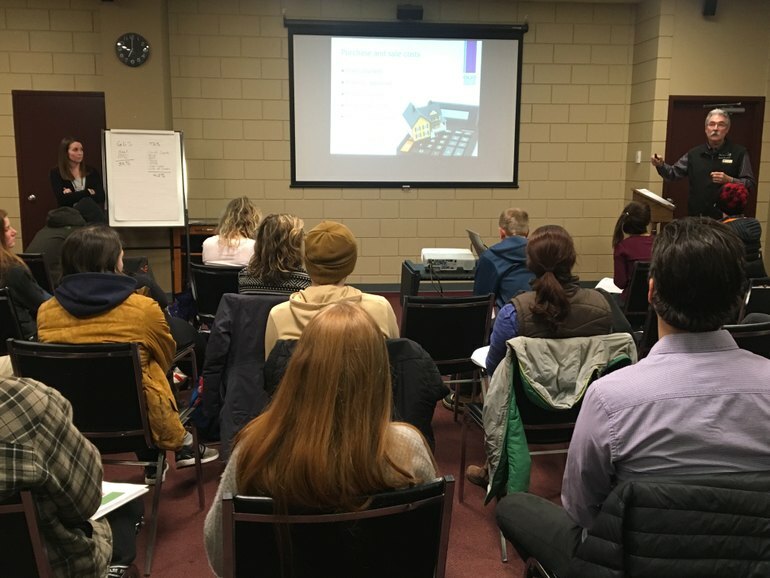 Our Financial Literacy team presented a workshop this week covering the process of preparing for homeownership. We had 32 people attend and know there’s a lot of bugeting and planning happening around town these days. Revelstoke Credit Union’s Community Giving Program has once again been set in motion. 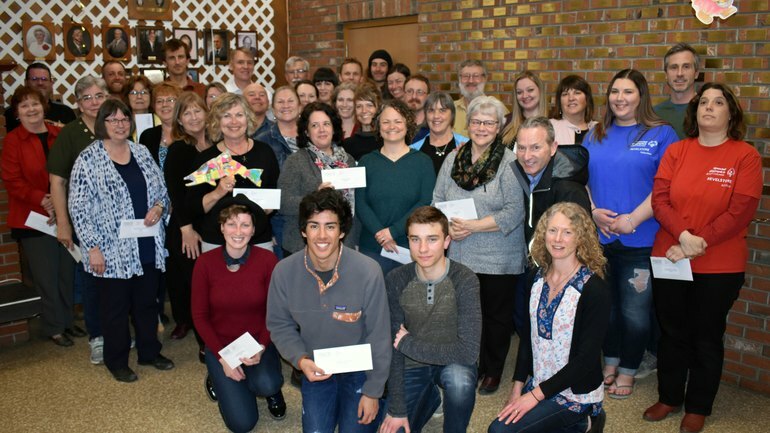 In keeping with it's on-going commitment to Members and the community, RCU will be distributing $100,000 to community organizations, programs and capital projects. Community Giving and Community Giving - Capital Projects are designed to help Revelstoke's non-profit and charitable organizations fund their programs and projects. Application forms are available at Revelstoke Credit Union and on-line at revcu.com and return them for consideration no later than March 1, 2019. Sutton Place Hotel at Revelstoke Mountain Resort is hosting a Christmas Tree Pageant in support of the Community Connections (Revelstoke) Society. Ballots are $5 with all funds being donated to support the Food Bank. Your donation gets you entered into a draw for some great prizes too. 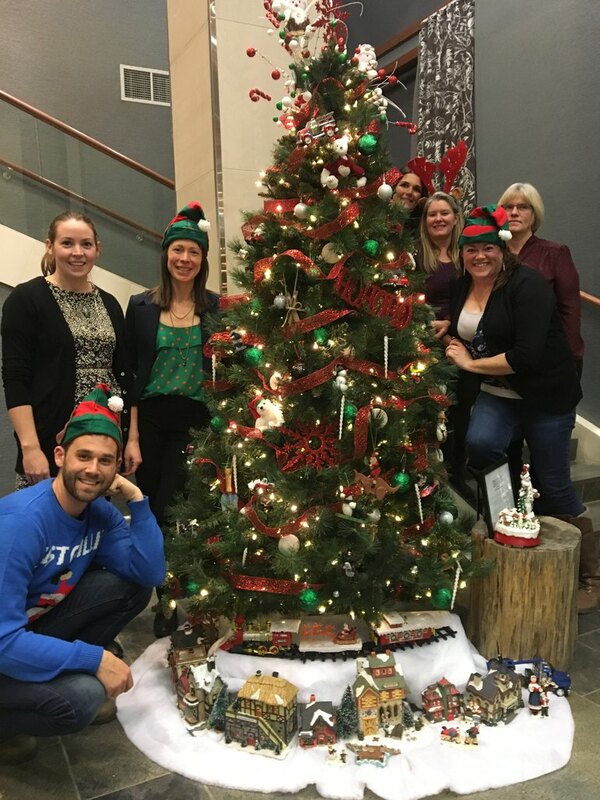 So, next time you are out, head to the Sutton Lobby and vote for the Revelstoke Credit Union tree and you may even win an amazing prize! 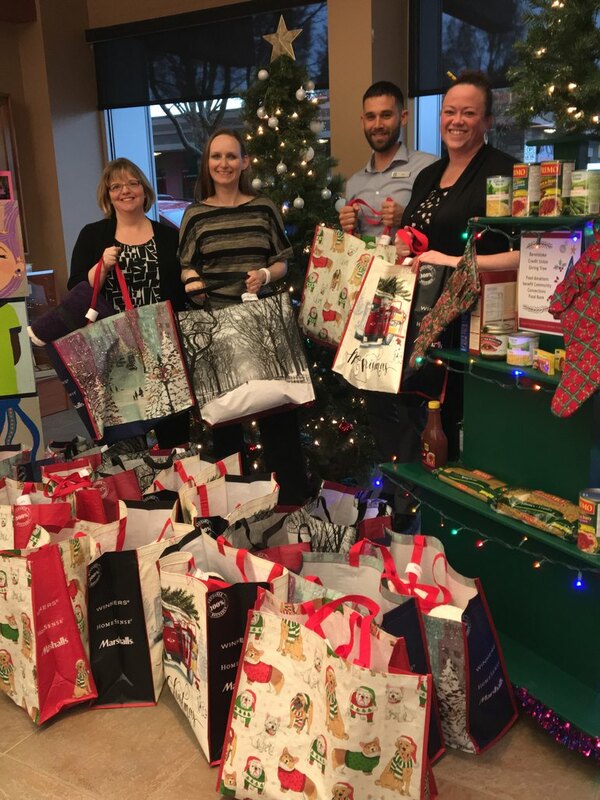 Revelstoke Credit Union staff have some Christmas cheer packages all set to go out to some local senior citizens. This Christmas initiative is a tradition for the RCU social committee headed by the two Crystals in the left, Mike and Erika are just gems! 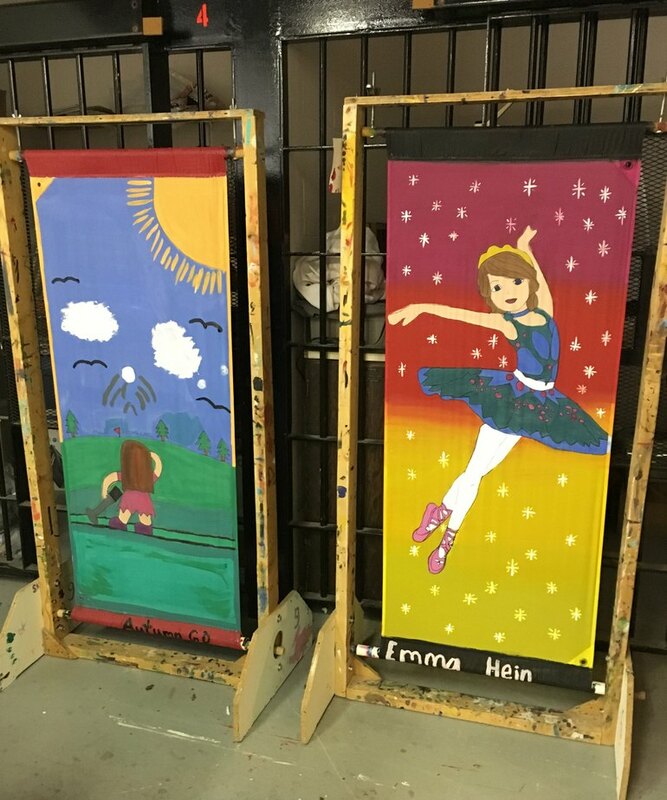 This Fall, Revelstoke Credit Union sponsored five young artists to paint their own banner as part of the city of Revelstoke's annual program. These banners will hang from light posts around town this winter. Here are two of the winning designs.